Kills Germ - Powerful oxidising action that kills harmful germs effectively. Cleanses – Superb cleaning action that removes stubborn stains and dirts. 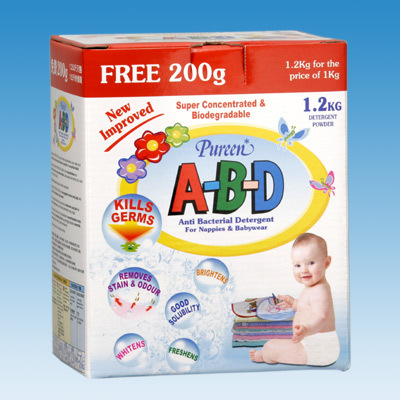 Non-Chlorine Bleach – Contains Perborate that bleaches safely for both white nappies and coloured clothing. Freshens – Unique fragrance that leaves fabrics smelling fresh. No pungent odour even after overnight soaking.